We have done numerous set ups here before but this was the first time our Radha Krishna Mandap was on display at the mandir. Due to the smaller stage size, mandaps are not very popular at this venue but we always like a challenge! 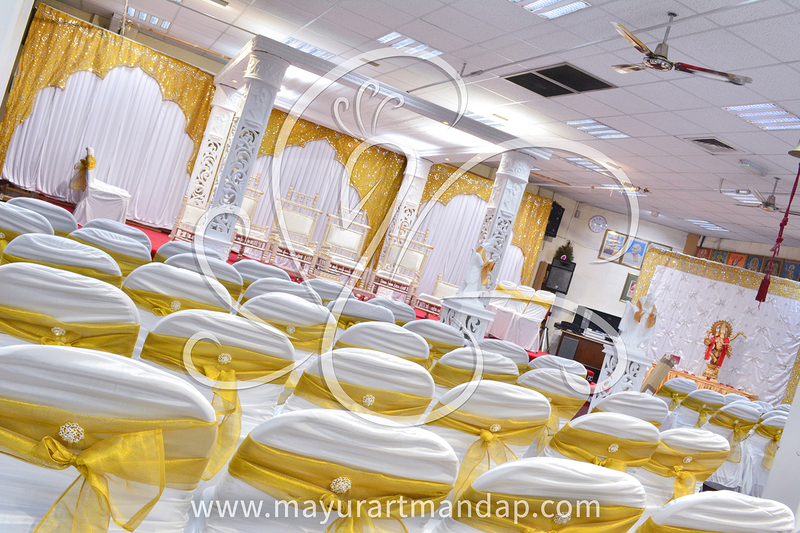 The mandap, together with the chair covers and foyer, really did transform the venue! The bride was extremely happy so our work here was truly done!